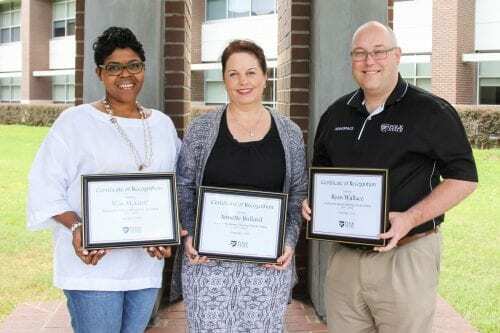 Polk State College is proud to announce this year’s recipients for the 2017-2018 Community-Based Learning (CBL) Faculty Fellows Program. The CBL Program supports faculty members interested in integrating community-based learning into their coursework. Criteria for the program is competitive. 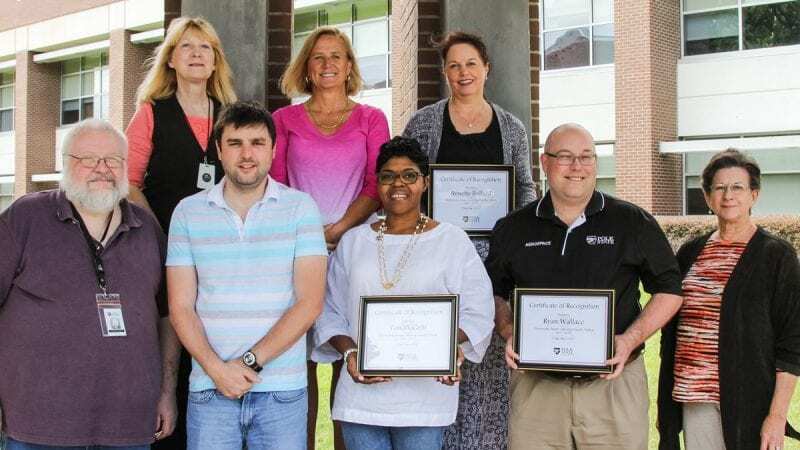 This year, four Faculty Fellows (two from the Lakeland Campus and it affiliated centers, and two from Winter Haven Campus and its affiliated centers) have been selected to receive a stipend of approximately $2400. Participate in a one-day orientation and workshop in May 2017. Develop a community-based learning activity or project that can be integrated into a currently offered course. Implement the activity into the course during the fall 2017 Semester. Present the outcomes of the community-based learning activity during a professional development session in the spring 2018 Semester. Mentor a faculty member selected as part of the next Faculty Fellows cohort (Spring 2018 Semester). Attend the Community-Based Learning (CBL) Recognition Ceremony in the spring of 2018. “The second reason for the program is to provide a collaborative musical performance opportunity. The songs learned will be performed by the “buddies” together in a public concert. I believe that both the Polk State College Student and the younger student will learn about the importance of reading music, and experience the impact that music can have in bonding individuals together,” Manzi explained. Von McGriff, Professor of College Success, is also thrilled to be part of this selection. Annette Bullard, Coordinator of Clinical Education, Occupational Therapy Assistant, will share the responsibility of the OTA community learning project with Anjali Parti, Interim Program Director for the Occupational Therapy Assistant program. Community-Based Learning (CBL) at Polk State College is not just about community engagement or experiential learning. In fact, the CBL Program fosters reflection, collaboration, and connection across the campus and community by implementing interactive educational activities. This methodology links direct experience with analysis and critical reflection. It is designed to support inquiry and action inside and outside of the curriculum. At Polk State, community-based learning opportunities add complexity and urgency to students’ critical grasp of social, political, and cultural issues by connecting the intellectual rigors of academic study with the needs and expertise of the community. Students worked with vulnerable populations to conduct health checks and make referrals. Students learned about hunger issues and explored ways to effectively feed low-income families. Students discussed the importance of voter registration and collected data relevant to the 2016 Presidential Election. Statistical tests identified underrepresented voting groups that the elections office could encourage to vote. Students met with and interviewed senior adults four times throughout the semester, built relationships, and used their writing skills to document the seniors’ life experiences. Environmental Science students collected tree data that could be used to make informed decisions about increasing tree diversity in parks. Oceanography students sampled local lakes for micro-plastic pollution to provide data for the city to utilize in its water quality data reports that are shared with the Florida Agricultural Service (IFAS). The inaugural year of the Community-Based Learning Program has produced exciting benefits for the College including building positive relationships between students and faculty, and fostering community spirit and engagement. It has also increased student learning and development, and heightened the educational relevance of traditional coursework. Logan Randolph’s BSC 1011C Principles of Biology II and ANT 1000 General Anthropology classes worked on projects related to food insecurity in Polk County, which has been ranked as the second-worst food desert in the United States. For Richard Decker, his students could not have had a more engaging experience, especially as politics was at the forefront of the 2016-2017 Academic Year. While not an official CBL Fellow this past year, Professor Natalie Whitcomb has been incorporating community-based learning into her classes for the past six years. This spring, her EVR 1001C Environmental Science class worked on an urban forestry project for the City of Winter Haven. During the fall of 2016, the class, along with this semester’s OCE 2001C Oceanography, students participated in the Florida Micro-plastic Awareness Project. Polk State was the first institution of higher education to look at micro-plastic pollution in the lakes in Polk County. While community-based learning is not a new concept, Polk State is finding new and innovative ways to incorporate the model into its curriculum. The result is more engaged students, collaborative community partners, and education that is relevant and inspirational.